I was attracted to Mogador Liquid Gold Pure Argan Oil's packaging while I first saw it on my friend's post. Hence when I was offered a chance to try it out, I quickly grabbed the chance. 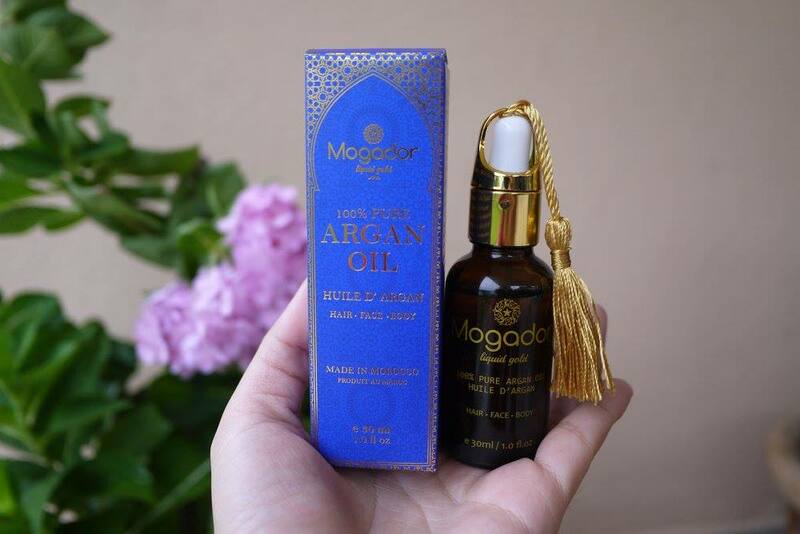 Mogador Liquid Gold Pure Argan Oil is pack in a very pretty royal blue paper box. Inside the box, you will find the oil in an amber glass dropper bottle. In fact, the amber-colored glass shelters photosensitive compounds from light damage hence the products will keep fresh inside. 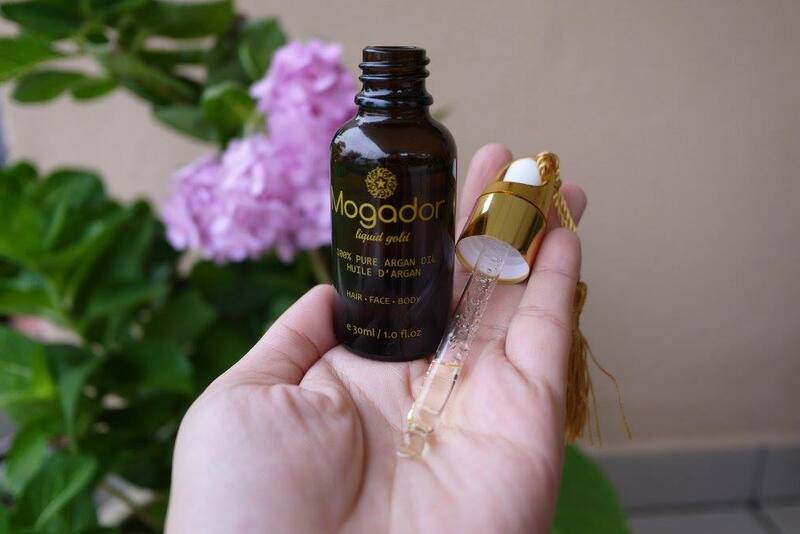 Moreover, the dropper cap comes with a beautiful yellow tassel, definitely a win for beautiful packaging. Now, how about the Argan Oil itslef? Contains only Pure Argan Oil, Mogador Liquid Gold Pure Argan Oil smells natural, and absorbed quickly. It can be used on face, body or hair. I normally massage it onto my hair after shampoo, while it's still damp. I like how it nourished my hair without flatten effect. For the remaining oil on my hand, I would massage gently and it penetrate into my skin quickly. 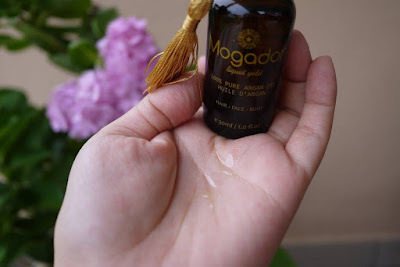 I like that Mogador Liquid Gold Pure Argan Oil is so lightweight yet so nourishing. A bottle of 30ml is selling at RM 119. Wow that's all wonderful things in a bottle. I've read many good things about argan oil, would love to try this out. I always wanted to look for face oil! Time to try out this super nourish and rich Argan Oil! Wow i like to try this. Would you know if this is also available in some beauty stores?